Whether it’s rent, going out with friends, or all those wedding invitations piling up on your fridge door, life comes at you -- and your bank account -- fast. That makes building a savings cushion almost impossible. Case in point: The average American household spends more than 90% of their income. The first step to exercising financial control? Being honest with yourself about your spending and identifying the areas in which you can afford to cut back. With help from financial experts Tonya Rapley of My Fab Finance and Millennial Money founder Grant Sabatier, we've identified nine categories you could be overspending in and how to cut costs without sacrificing quality of life. With more than 2.6 million people flying in and out of US airports every day, it’s likely you’re dropping dough on a plane ticket for a vacation, a wedding, or just visiting the fam at least once a year (if not more). Flights can be one of the costliest parts of a trip, and therefore are a good place to start looking for savings. 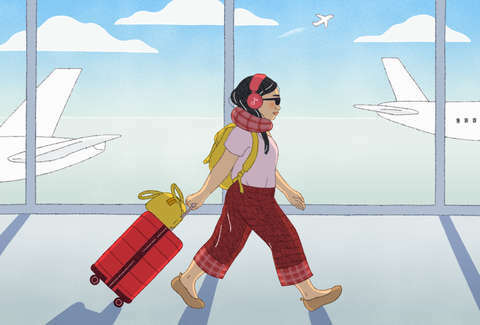 According to Skyscanner, the best time to buy domestic flights in 2019 is two to three weeks in advance, while for international flights, it’s five to six months prior to travel. Booking on Tuesdays for domestic flights and Wednesdays for international travel is also the pro move -- and don’t forget to track prices on flight apps like Hopper. If traveling with a group, Sabatier notes that splitting up reservations can pay off, literally. “Often airlines only have a few tickets at each price tier, so when you separate them you’re more likely to find at least one ticket at the lowest price,” he says. And if the cost looks too good to be true, double check the fine print. More airlines are charging for “extras” -- like bringing a carry-on bag or selecting a seat -- and you don’t want to be unexpectedly ponying up $100 at the gate. There’s nothing more maddening than realizing how much you’re spending on gas every time you fill up the tank. But one expense you should be thinking more about? Car insurance -- which could be costing you an extra $1,800 a year if you’re not regularly comparing rates. “With insurance, particularly car insurance, studies have shown that once people get approved, we just go ahead and renew our policy every year instead of seeing if there’s a better option available to us,” Rapley says. If you’re going out for the night to somewhere that might require valet or using a parking garage, compare those costs to ride-sharing services or a taxi -- it could end up saving you money to ditch the car for the night. For city-dwellers relying on public transportation who know their subway use might change month-to-month, Sabatier advises to make sure you’re not overspending on the unlimited subway pass vs. paying by the fare. Don’t forget to take advantage of any money-saving commuter benefits offered through your job, either, whether it’s buying subway passes with pre-tax funds or utilizing subsidized parking near the office. In the age of Instagram and Snapchat, re-wearing the same outfit to every formal event on your social calendar isn’t exactly realistic, since those photos will get shared to all your friends whether they were at the party or not. But with the average wedding guest spending in the ballpark of $300 to $700 to attend, cutting back on the cost of your outfit can make a small dent in an otherwise very expensive weekend. 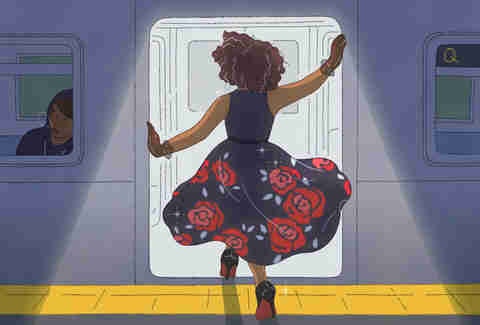 “For this particular reason, I either use Rent the Runway or swap clothes with my friends,” Rapley says, and advises the same for women who attend lots of events, whether it’s weddings or work conferences. So during wedding season, pick up some vino, throw a clothing swap party with your pals, and go home with a new dress, free of charge. If you’re in a time crunch, consider refreshing go-to outfits by rotating in different accessories -- fresh shoes, jewelry, handbags, ties, and even dress socks for guys can be a cost-effective route to a new look. Don’t get caught overspending on bank fees. The FirstBank Anywhere Checking Account has no monthly service charges and no minimum balance requirement. 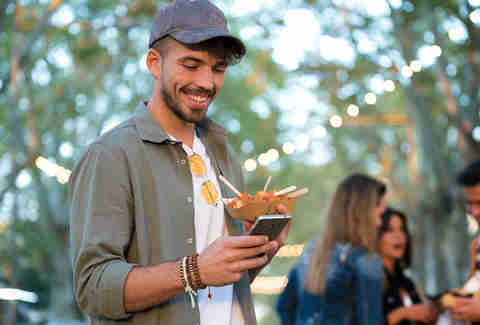 Plus, you can quickly enroll in mobile banking to access a suite of tools to help you manage your finances and maintain visibility on your spending -- just another way to help you curb those impulse buys. Whether it’s a house-warming get-together, a milestone birthday, or annual holidays, gifts for friends and family throughout the year can take a toll on your bank account. Both our experts recommend going the experiential route for the best value and the appreciation factor. “For housewarming gifts, usually I put a bunch of inexpensive gifts together so it has more impact,” Rapley says. “[Or], I’ll bring or offer a service instead.” Take a look at the giftee’s life and see what they need a hand with or would appreciate, whether that’s helping them move into their new place, offering to pet sit while they’re on vacation, or cooking them a nice dinner. Go the DIY route for physical presents as well; for your friend’s first house, consider a gardening kit or a wine and cheese basket that you put together yourself. It can cut back on costs while winning you even more brownie points for being “that kind” of friend. Americans spending a good chunk of their paychecks on food isn’t surprising, but we’ve also developed a habit of wasting up to 40% of the food we buy -- the equivalent of literally throwing away $1,500 per year for a family of four. Beyond groceries that never get eaten, we’re also spending, on average, over $3,000 a year eating out. To dial back on both Chinese takeout bills and food waste, get real about your food staples. “Take the time to write down 50 things you eat regularly and then go search for the lowest cost-per-unit price on those 50 items,” Sabatier advises. This is where grocery-shopping apps like InstaCart and AmazonFresh can streamline costs, both our experts advise, since they reduce impulse buys and make it easier to compare prices. Then, when the fridge is stocked, live by the “first in, first out” rule -- in other words, move older products to the front to encourage you to use it before it expires. For those with food delivery charges dominating their monthly statements, cut back by designating one day a week to cook a big meal, then freeze leftovers for quick-prep dinners when deadlines get crazy at work. If you have a pet, chances are you’re guilty of spoiling them from time to time. “The reality is, especially with millennials who are having kids later, our pets are our kids,” Sabatier says. In 2018, Americans spent an estimated $72 billion on their pets (including food, supplies, and veterinary care), but your furry friends can still live their best life on a budget. Since vet bills and annual shots can’t be avoided, Sabatier saves dough on new toys by practicing a little bait and switch. “I put away seasonal toys for next year and pull them out again when it’s time. It’s like my dog is seeing it for the first time,” he says. Sabatier also relies on subscription services (like those through Amazon) for items he knows he’ll need every month, which saves him between 15-20% on dog food. Try to also do more pet grooming in-house, like trimming their nails, since it could add up to hundreds of dollars in saved costs. And as a rule of thumb (or paw), always compare prices for pet care services -- from dog walking to boarding to grooming -- on a site like Thumbtack, which generates average prices based on your zip code. Are you guilty of buying fresh-cut flowers on your weekly trip to the grocery store? Or maybe you’re investing in new holiday decor every season? While thoughtful decorations have the power to brighten up your space, it’s possible to spruce things up without dropping a ton of cash. First, take stock of what you already have and decide if it just needs a new home vs. needs to be replaced -- don’t underestimate the power of moving a picture or a chair into to a new location to give the room a whole new feel. If you do decide to hit the store, check flea markets and estate sales in your area to get better deals and more unique items than you’ll find at big box stores. And for those who just moved into a new home, Rapley advises focusing on acquiring decorative items, like artwork and knickknacks, by dividing and conquering. “Go room to room instead of trying to do your entire place at once, and make sure to stock up at end-of-season sales,” she says. And yes, that means buying wrapping paper and lights the day after Christmas. Reigning in overspending with small lifestyle changes will definitely help your bottom line, but if you’re after more substantial savings, you have to consider what’s eating up the majority of your paycheck. “You get the biggest savings in your life by cutting back on the things that have the greatest impact,” Sabatier says. 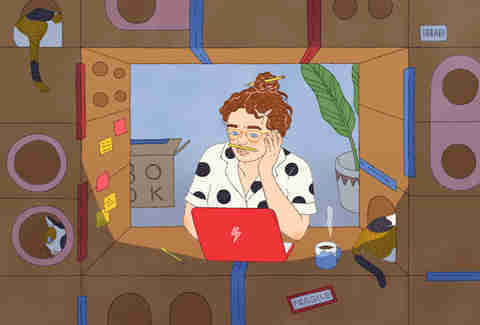 “If you just saved 30% on your housing every month, then cutting out all of the smaller lifestyle choices won’t matter as much.” Now, we get it, lowering your rent isn’t possible for everyone, but consider practicing the art of negotiating before writing it off as a fixed cost. Research any pricing incentives being offered in your neighborhood and use that as a bargaining tool the next time your landlord tries to raise your rent. Roll over those negotiating tactics to your student loans and credit cards, too. The average American under age 35 owes about $67,000 in debt -- if you’re one of them, call and see if you can negotiate a special interest rate for 12 months or opt into a better repayment plan. And hey, the money you save on interest could be put toward that well-researched plane ticket.